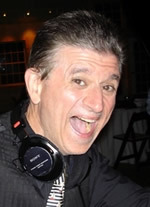 Charlie Lombardo, owner of Celebrity Music as well as one of the DJ’s/MC has been working in radio for 33 years. He is the SVP of Programming for JVC Broadcasting and on the radio weekdays from 12n-3pm on My Country 96.1 as Jay Letterman and now the afternoon DJ 3p-6p on Long Islands brand new station playing the biggest hits of the 60’s,70’s & 80’s Oldies 98! Charlie’s taken the concepts he’s learned in radio and has created a mobile DJ company that caters to you! He’s hosted thousands of different events from Major Concerts at Jones Beach to intimate parties across Long Island for over 30 years! All of the MC’s & DJ’s are either in radio or have been trained by radio professionals like Charlie.The DJ’s at Celebrity Music strive to make your party an event you’ll always remember and one your friends will always talk about! See what Long Islanders have said about parties hosted by Celebrity Music. 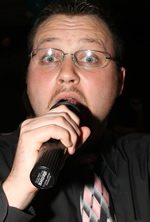 Hey, this is Tom, one of Celebrity Music’s MC/DJs. I’ve been doing this for 10 years now and always rock the party. My specialties are Weddings, Sweet 16s, and Kids Parties. I would love to be the DJ and MC for your special event. The crazier, the better! Just to let you know a little bit about me I’ve worked in radio for quite a number of years at many different stations. 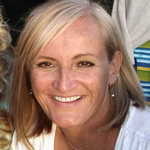 I am also a certified teacher and I love to play hockey and raquetball. A couple of my favorite musical groups are Dave Matthews, Angels and Airwaves, Frank Sinatra, Dexy’s Midnight Runner, and Usher. As you can see I have an eclectic taste of music so I’m sure we have music in common. Go with Celebrity Music, I promise a night you’ll never forget. Experience & professional, two words that describe Dennis Falcone. With over 25 years of hosting events ranging from weddings to corporate functions, Dennis knows how to relate and entertain your guests will his engaging personality and music selections. Very few Dj’s have the combination of turntable mastery, incredible music knowledge and charisma, but New York’s own Dj Cleveland has it all. 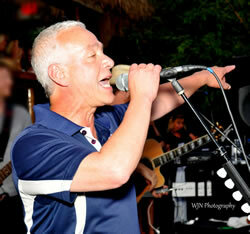 He is the “go to” private party, event and club Dj for clients of all ages. 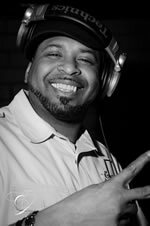 He’s opened for major-label artists like LL Cool J, P. Diddy and Busta Rhythms, and expertly applies his skills in mixing, mash-ups and perfect music selection to every event he performs. He brings an exciting and fresh spin to Djing, customizing sets that appeal to the clients tastes. With eight years of professional experience, Carolina’s expertise produces wonder photos of any special occasion.